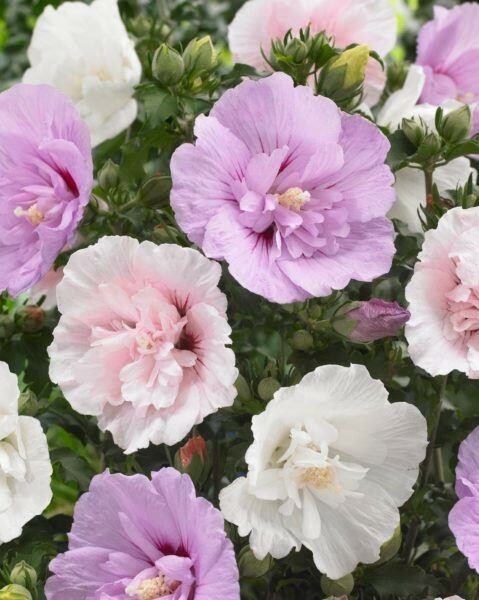 The gorgeous blooms of Chiffon Hibiscus will really stand out in your garden, these contrast beautifully with the shiny leaves, adding to the decorative appeal of this plant. 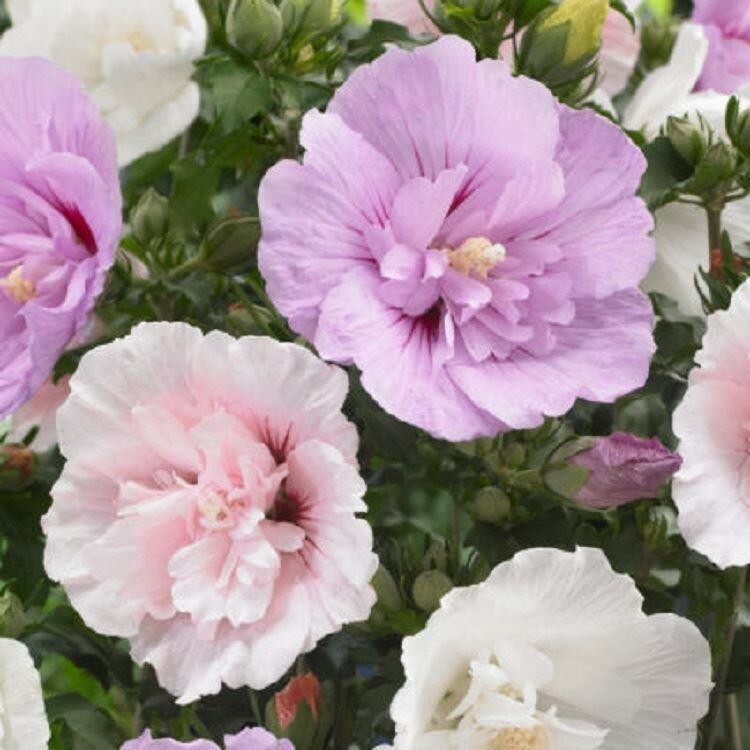 Most Hibiscus varieties carry just one colour of blooms, but our exclusive Tri-Colour variety has THREE fantastic shades on one plant. The combination is not only unique, but quite outstanding - plus you'll only find this variety on offer from us. You will have new flowers continually from July right into the autumn in the prettiest of colours. 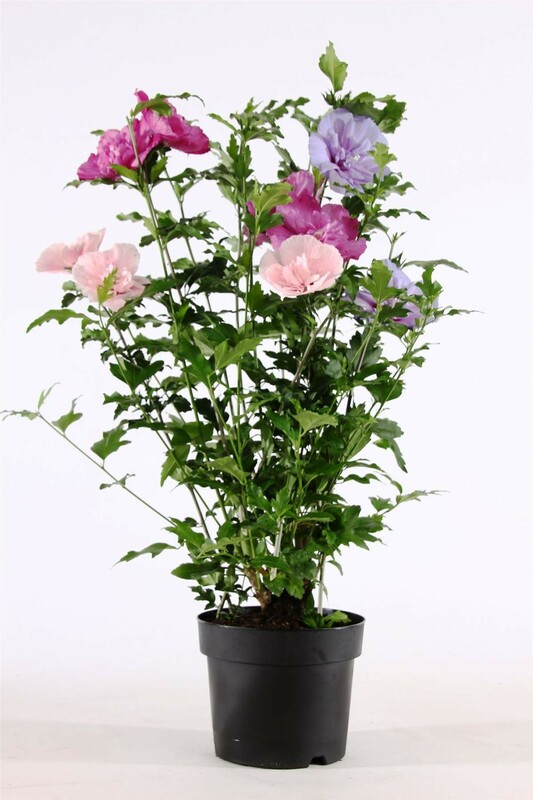 Hibiscus Chiffon Tricolour is a profusely flowering shrub that is also suitable for the somewhat smaller garden or patio planters, reaching around 1.2-1.5 metres in height if left un-pruned. 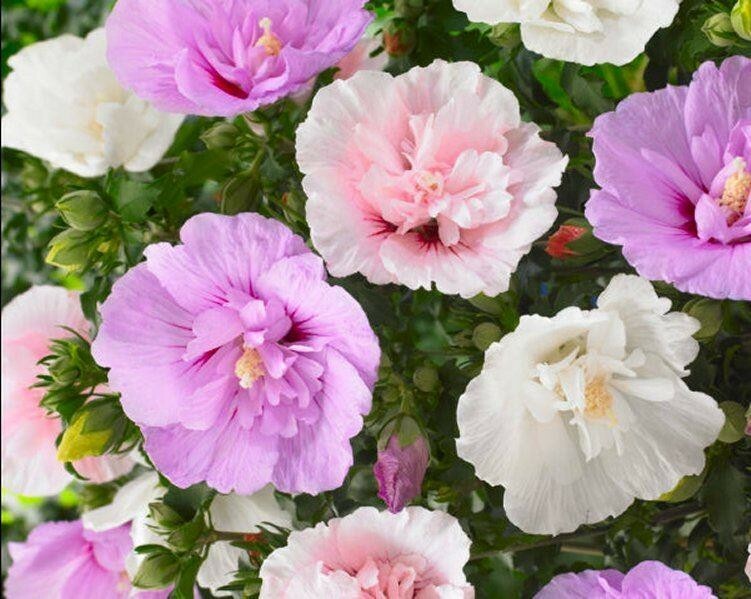 With the charming double-layered blooms reaching up to 10-15cms across, these hibiscuses are ideal for the garden or patio pots, and will be marvelled by all who see them. Supplied in approx. 3 litre containers at around 60-80cms tall, full of buds and flowers in season.